A late opening flower on a leafy branch of Blackthorn (Prunus spinosa). The majority of blackthorn flowers open before the leaves. 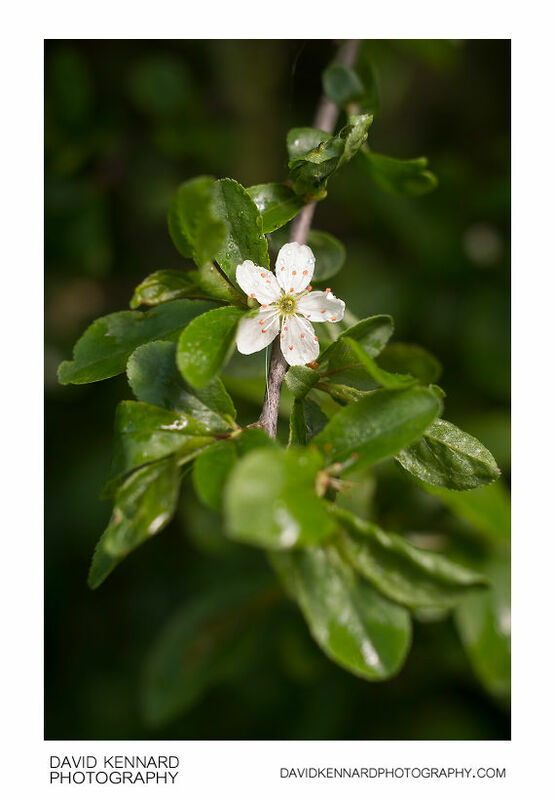 The flower features 5 white petals with a number of brown anthers and a single green carpel. The leaves are oval in shape, around 4 cm long, with a serated edge.